Update, Aug. 9, 2018: We are publishing the emails and other documents we obtained through the Freedom of Information Act for this story. You may view them online here or download them here. The arrangement is without parallel in modern presidential history. The Federal Advisory Committee Act of 1972 provides a mechanism for agencies to consult panels of outside advisers, but such committees are subject to cost controls, public disclosure and government oversight. Other presidents have relied on unofficial “kitchen cabinets,” but never before have outside advisers been so specifically assigned to one agency. During the transition, Trump handed out advisory roles to several rich associates, but they’ve all since faded away. The Mar-a-Lago Crowd, however, has deepened its involvement in the VA.
Perlmutter, 75, is painstakingly private — he reportedly wore a glasses-and-mustache disguise to the 2008 premiere of “Iron Man.” One of the few public photographs of him was snapped on Dec. 28, 2016, through a window at Mar-a-Lago. Trump glares warily at the camera. Behind him, Perlmutter smiles knowingly, wearing sunglasses at night. When Trump asked him for help putting a government together, Perlmutter offered to be an outside adviser, according to people familiar with the matter. Having fought for his native Israel in the 1967 war before he moved to the U.S. and became a citizen, Perlmutter chose veterans as his focus. Perlmutter enlisted the assistance of his friends Sherman and Moskowitz. Moskowitz, 70, specializes in knowing the world’s top medical expert for any ailment and arranging appointments for clients. He has connections at the country’s top medical centers. Sherman, 63, has houses in West Palm Beach and suburban Baltimore and an office in Washington with the consulting firm Alvarez & Marsal. 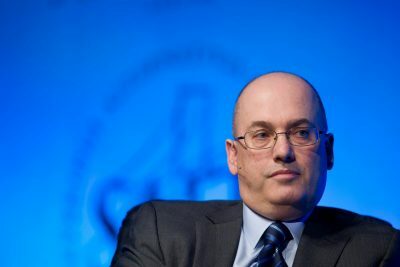 His legal work focuses on financial fraud, white collar investigations and damages disputes. His professional biography lists experience in eight industries, none of them related to health care or veterans. Over the course of 2017, there was growing tension within the Trump administration about how much the VA should rely on private medical care. During the campaign, Trump championed letting veterans see any doctor they choose, inside or outside the VA system. But Shulkin warned that such an approach was likely to result in poorer care at a higher cost. His preferred solution was integrating government-run VA care with a network of private providers. In other words, they proposed inviting private health care executives to tell the VA which services they should outsource to private providers like themselves. It was precisely the kind of fox-in-the-henhouse scenario that the VA’s defenders had warned against for years. Shulkin delicately tried to hold off Perlmutter’s proposal, saying the VA was already developing an in-house method of comparing its services to the private sector. 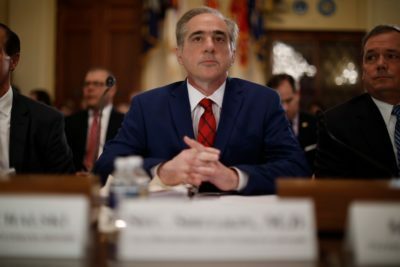 Shulkin also clashed with the Mar-a-Lago Crowd over how to improve the VA’s electronic record-keeping software (the one episode involving the trio that has previously surfaced, in a report by Politico). The contract, with a company called Cerner, would cost more than $10 billion and take a decade to implement. But Moskowitz had used a different Cerner product and didn’t like it. He complained that the software didn’t offer voice recognition, even though newer versions of Cerner’s product do. For months, the Mar-a-Lago Crowd pressured Shulkin to put the contract through additional vetting. On Feb. 27, 2018, Shulkin flew to Mar-a-Lago — not to see Trump, who was back in Washington, but to meet with Perlmutter, Moskowitz and Sherman. The trip was supposed to close the deal on the Cerner contract, according to two people familiar with the meeting. By then, Shulkin’s stature had been badly diminished by an ethics scandal, and he expected he didn’t have much longer in the job, but he wanted to finish the Cerner deal first. Perlmutter welcomed the overture. “I feel confident that you will be a terrific asset moving forward to get things accomplished,” he replied. The Mar-a-Lago Crowd grew frustrated with Shulkin, feeling like he wasn’t listening to them, and Perlmutter came to regret recommending Shulkin to Trump in the first place, according to people familiar with his thinking. That aligned them with political appointees in the VA and the White House who started to view Shulkin as out of step with the president’s agenda. One of these officials, senior adviser Camilo Sandoval, presented himself as Perlmutter’s eyes and ears within the agency, two former officials said. For instance, in an email obtained by ProPublica, Sandoval kept tabs on the Apple project and reported back to Moskowitz and Sherman. “I will update the tracker, and please do let me know if this helps answers [sic] questions around Apple’s efforts or if additional clarification is required,” he wrote. Sandoval, who didn’t answer requests for comment, knew Perlmutter because he worked on the campaign with Trump’s son-in-law, Jared Kushner, who is also close with Perlmutter. In December, White House adviser Jake Leinenkugel sent Sandoval a memo outlining a plan to upend the department’s leadership. Leinenkugel would not say who asked him to write the memo. But it was clearly not intended for Sandoval alone, since it refers to him in the third person. Three people familiar with the situation said the memo was sent to Sandoval as a channel to Perlmutter. The spokeswoman for Perlmutter, Sherman and Moskowitz said they didn’t know about the memo. The memo recommended easing Shulkin out and relying on Perlmutter for help replacing him. “Put [Shulkin] on notice to exit after major legislation and key POTUS VA initiatives in place,” the memo said. “Utilize outside team (Ike).” Although several factors contributed to Shulkin’s downfall, including the ethics scandal and differences with the White House over legislation on buying private health care, three former officials said it was his friction with the Mar-a-Lago Crowd over the Cerner contract that ultimately did him in. But it wasn’t just Shulkin — all the officials that the Leinenkugel memo singled out for removal are now gone, replaced with allies of Perlmutter, Sherman and Moskowitz. The memo suggested that Sandoval take charge of the Office of Information and Technology, overseeing the implementation of the Cerner contract; he got the job in April. The memo proposed removing Deputy Secretary Tom Bowman; he left in June, and the post hasn’t been filled. The memo floated Richard Stone for under secretary for health; he got the job on an acting basis in July. Leinenkugel himself took charge of a commission on mental health (the same topic Moskowitz had emailed O’Rourke about). O’Rourke, having hit it off with the Mar-a-Lago Crowd, became acting secretary in May. Trump initially nominated White House doctor Ronny Jackson to replace Shulkin, with Pentagon official Robert Wilkie filling in on a temporary basis. On Wilkie’s first day at the VA, Sherman was waiting for him in his office, according to a calendar record. Within a few weeks, Wilkie made a pilgrimage to Mar-a-Lago. He tacked it onto a trip to his native North Carolina, and O’Rourke caught up with him in Palm Beach. 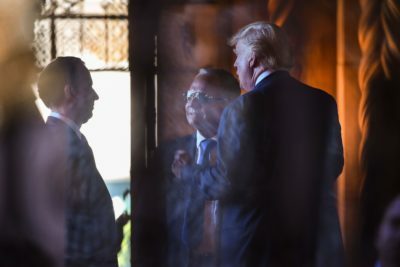 They visited a VA hospital and rehab facility, then headed to Mar-a-Lago to meet with Perlmutter, Moskowitz and Sherman, according to agency records. The Mar-a-Lago Crowd gave Wilkie and O’Rourke rave reviews. 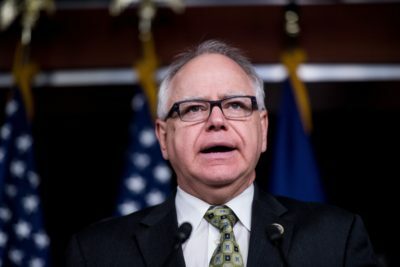 “I am sure that I speak for the group, that both you and Peter astounded all of us on how quickly and accurately you assessed the key problems and more importantly the solutions that will be needed to finally move the VA in the right direction,” Moskowitz told Wilkie in a follow-up email. Wilkie replied that the honor was his. “Thank you again for taking time to see me,” he wrote. Soon after, Jackson’s nomination imploded over allegations of misconduct as White House physician. (Jackson denied the allegations, and they’re still being investigated.) At that point, Perlmutter’s endorsement cleared the way for Trump to nominate Wilkie. Wilkie, who was sworn in on July 30, now faces a choice between asserting his own authority over the VA or taking cues from the Mar-a-Lago Crowd. Wilkie reportedly wants to sideline O’Rourke and Sandoval and restock the agency leadership with his own people. But people familiar with the situation said the Mar-a-Lago Crowd’s allies are pushing back on Wilkie’s efforts to rein them in. As his predecessor learned the hard way, anyone who crosses the Mar-a-Lago Crowd does so at his own risk.